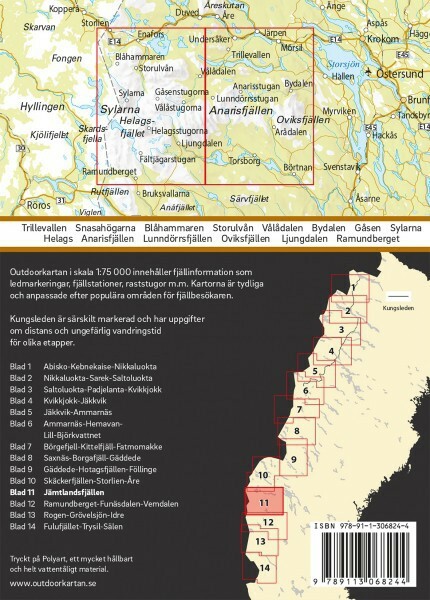 Jämtlandsfjällen 1:75 000 - OutdoorKartan - Outdoor Maps. 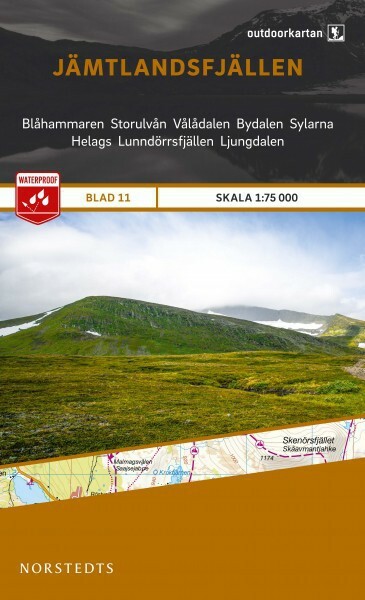 Jämtlandsfjällen Scale 1:75 000 - OutdoorKartan - Outdoor Maps. Jämtlandsfjällen: the coverage area is suitable for mountain hiking and outdoor sports: canoeing, skating, backcountry skiing, etc .... Scale 1:75 000. The map shows summer and winter trails routes, and guarded or unguarded shelters. The map is printed on waterproof paper which comes in handy during wilderness trips. Legend in English. Compatible GPS (TM grid Sweref 99). Covers the following areas: Blåhammaren, Storulvån, Vålådalen, Bydalen, Sylarna, Helags, Lunndörrsfjällen, Lyungdalen.